YOU GUYS! I honestly couldn’t believe the unbelievable response to the Lowe’s Spring Makeover thingy majiggy that I posted about last week. I was expecting…I don’t know, maybe 10 or 12 applicants? Well, I got a WHOLE LOT more than that and I’m super duper flattered and touched by the whole thing. Who knew! This selection process is going to be long and grueling, mostly because I so badly want to do pretty much all of them! WAIT JUST KIDDING BECAUSE OMG CUTE CUTE CUTE!!!!!! 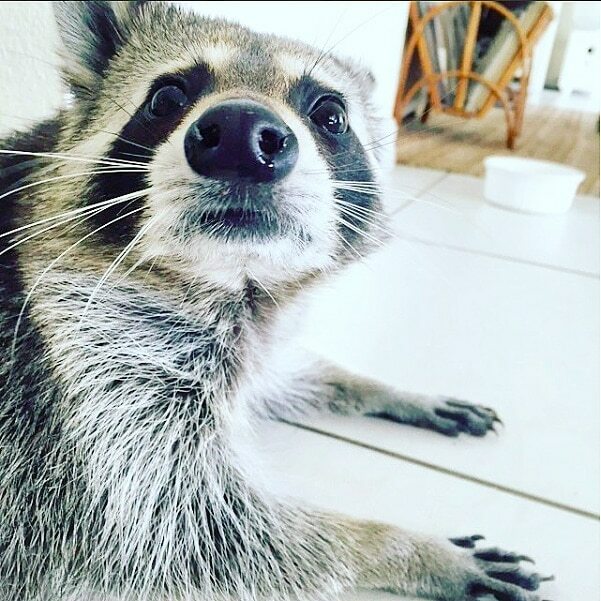 This is Pumpkin the raccoon. I found her on Instagram. I’m obsessed with her. I don’t know a ton about Pumpkin. 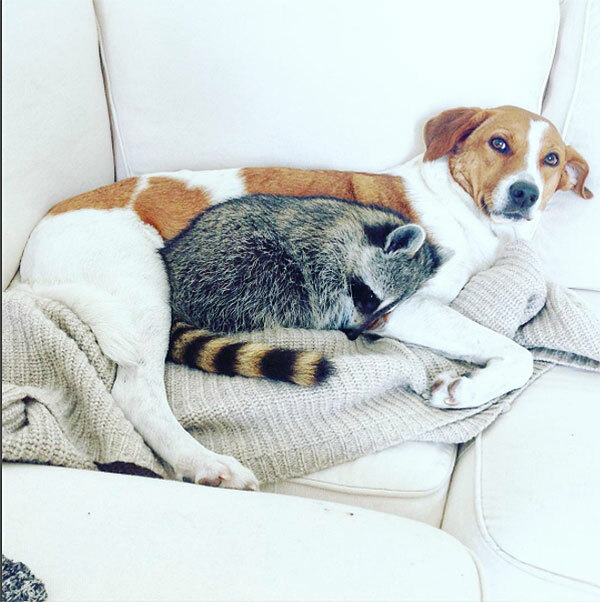 Pumpkin was rescued as a lil’ baby raccoon and taken in by these folks who treat her more or less like a cat or a dog. She’s a chubby little lazy thing who doesn’t seem to mind her dope lifestyle one bit. I wish I could make myself tiny enough to use her plump belly as a bed. 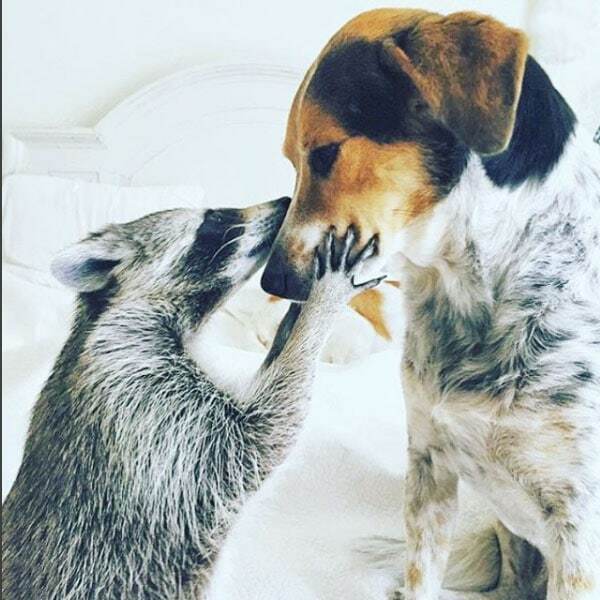 Raccoon hands!!!!! They kill me. I can’t. I just can’t. I think my favorite aspect of Pumpkin’s life is her relationship with her dogs, Oreo and Toffee. I’m guessing Pumpkin thinks she is a dog, but she’s clearly not a dog. You know what’s cuter than two dogs cuddling with each other? 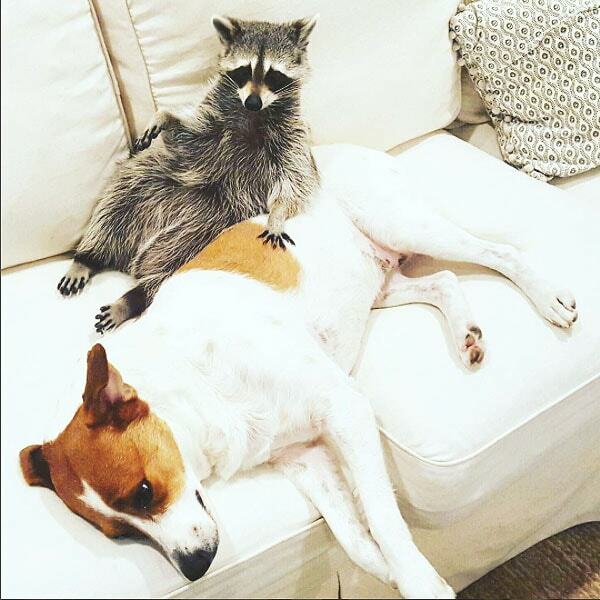 A dog cuddling with a RACCOON! Interspecies friendships are perhaps the highest-ranking cute activity, and Pumpkin has it down. I love Toffee and Oreo for allowing this! I’m going to go ahead and guess Mekko would not be quite so accommodating. 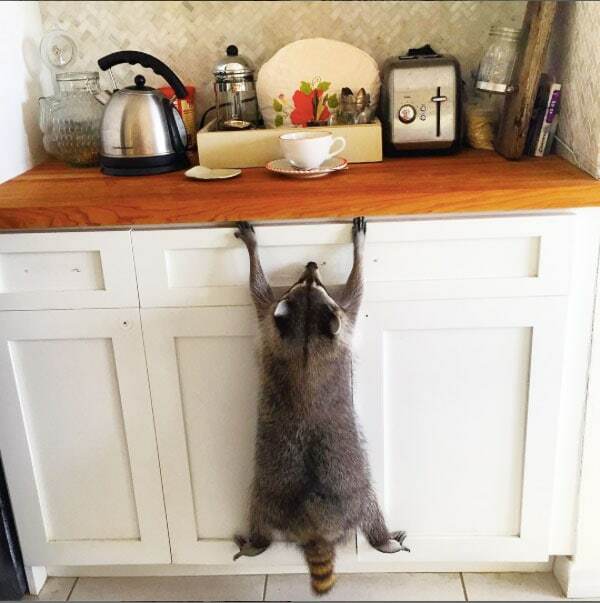 I guess no rescued pet raccoon for me, but we all have our crosses to bear. I guess I’ll just have to live vicariously through this magical instagram. I just had to tell you. 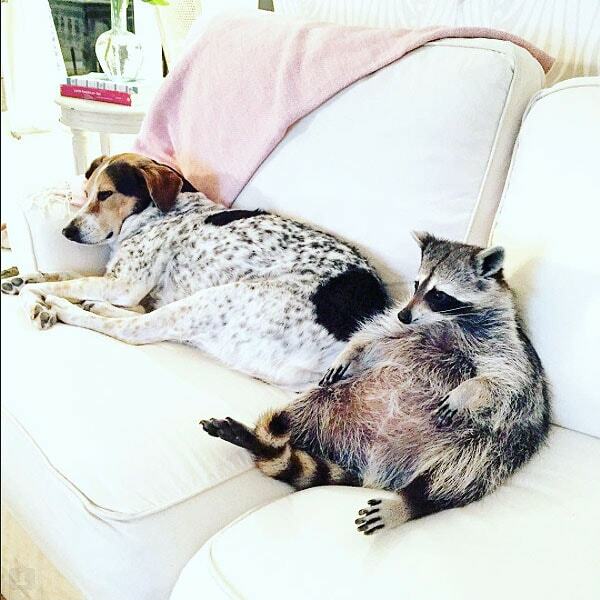 Every time I think I’ve found all the cute animals on instagram, I find new ones. I hesitate to ask, because, like, how many is too many to follow? but if you’re kinda the same way, who are your favorites?